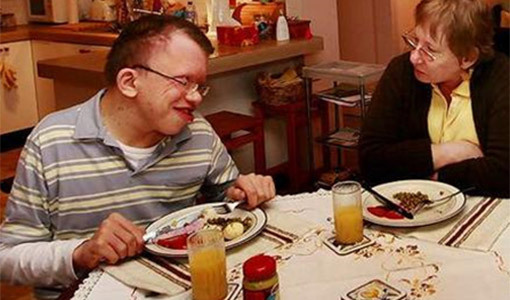 At New Star, we understand how complicated it can be to care for a loved one with a developmental disability. That’s why, through our Home Based program, we work as your partner in care. We’re here to help you coordinate the services you need to create a meaningful day for your loved one, while enabling him or her to remain at home. Uncertain about what programs would best support your family? New Star’s HBS Services are designed for children as well as adults. Our staff bring years of hands-on experience and professional expertise right to your doorstep. We will help you assess your budget, review your options, and provide recommendations regarding what services will meet your family’s needs. With New Star as your service facilitator, you can feel confident that you are making the best possible choices when it comes to the quality of your loved one’s care. To learn more about how New Star’s residential solutions can work for you, contact Graig Gillis at ggillis@newstarservices.org.